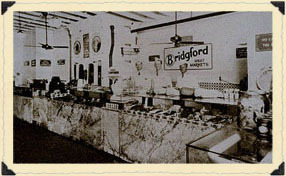 Bridgford Foods Corporation traces its roots back 86 years to 1932, when our founder Hugh H. Bridgford (1908-1992) opened a retail meat market in San Diego, California. Our business first evolved into several retail meat markets, and later to meat wholesaling, frozen food distribution, meat processing and frozen food manufacturing. 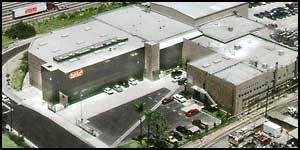 The Company is now headquartered in Anaheim, California, about four miles from Disneyland. In addition to our bakery operation in Anaheim, the Company has five additional facilities: two in Dallas, Texas, two in Chicago, Illinois and one in Statesville, North Carolina. Our principal product lines include Bridgford Frozen Bread Dough and Buttermilk Biscuits, Monkey Bread, Beef Jerky, Shelf-Stable Dry and Semi-Dry Sausage, and Shelf-Stable Sandwiches. We cater to both the retail and foodservice trade. 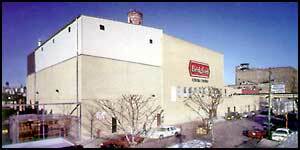 Bridgford Foods Corporation currently has about 500 employees. Our products are sold in all 50 states, Canada and several overseas markets. The Company’s common stock (9.1 million shares outstanding) is traded on the NASDAQ National Market System under the symbol “BRID.” There are approximately 875 shareholders. Members of the Bridgford family own or control more than 80% of the common stock, and many members of the extended Bridgford family hold key management positions in the Company. Financial information is available at www.bridgford.com. 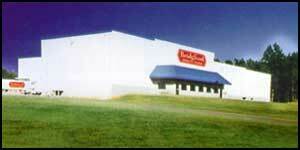 Bridgford Foods Corporation is managed by a four member Executive Committee which reports to the Board of Directors. Members are William L. Bridgford, Chairman of the Board, John V. Simmons, President, Raymond F. Lancy, Executive Vice-President and Chief Financial Officer and Allan L. Bridgford, Chairman of the Executive Committee. Directors Todd C. Andrews, Vice President and Controller, Public Storage, Inc; Bruce H. Bridgford, Vice President; William L. Bridgford, Chairman; Raymond F. Lancy, CFO; Keith A. Ross, Executive Vice President, CT Realty; D. Gregory Scott, Managing Director, Peak Holdings, LLC; John Simmons, President; Paul Zippwald, Retired Regional Vice President and Head of Commercial Banking for Bank of America NT&SA; Allan L. Bridgford Jr., Consultant. Officers Allan L. Bridgford, Chairman of the Executive Committee and Vice President; Bruce H. Bridgford, Vice President; Michael Bridgford, Vice President and Assistant Secretary; William L. Bridgford, Chairman and member of the Executive Committee; Chris Cole, Vice President; Joe deAlcuaz, Vice President Manufacturing; Bob Delong, Vice President, Information Technologies; Raymond F. Lancy, Executive Vice President, Chief Financial Officer, Treasurer, and member of the Executive Committee; Cindy Matthews-Morales, Corporate Secretary and Controller; John V. Simmons, President and member of the Executive Committee; Daniel R. Yost, Senior Vice President. 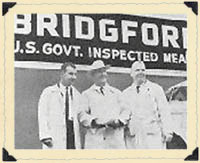 Division Managers Baron R. H. Bridgford, President, Bridgford Processing Company of Illinois, Bridgford Foods of Illinois; Blaine K. Bridgford, President, Dallas – Superior Foods Division; Bruce H. Bridgford, Chairman & President, Bridgford Foods of California; Joseph deAlcuaz, Vice President, Dallas – Frozen-Rite Division; Monty Griffith, Vice President, Bridgford Foods of North Carolina; Jeffrey D. Robinson, Bakery Manager, Anaheim – Bread Division. 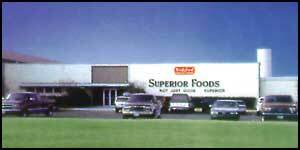 For over 80 years, the mission of Bridgford Foods Corporation has been to develop, produce, sell and distribute superior quality food products that provide a consistent value to our customers. We strive to provide gainful and rewarding careers for our employees, and are in the enviable position of having many long-time employees with a passion for our business and a determination to keep it successful. We work to achieve a fair return for our shareholders. We adhere to the highest ethical standards. We treat our customers and employees with honesty, respect, dignity and appreciation. We believe that we wrap our future in every package, and stand behind the products we sell 100%. We are proud of our company and are committed to enhancing its assets and resources. We strive to be responsive, dependable and accountable to our associates, and view our relationships with customers and suppliers as partnerships. We believe that innovation is essential to the future success of our business, and strive to be industry trendsetters in the development of new products. We are enthusiastic and communicate openly and honestly in our dealings with all of our stockholders.